The opponent grasps your right wrist. Turn as in Sanyo and catch his right hand with your left. Twist his wrist with your right hand and put the bottom of your left forefinger on his right pulse. 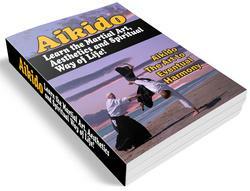 Push upwards, making sure that his elbow than his shoulder, then cut his arm down to the ground. At the same time, step forward with the left foot. Pin him down and release on submission. This concludes the fundamental techniques. 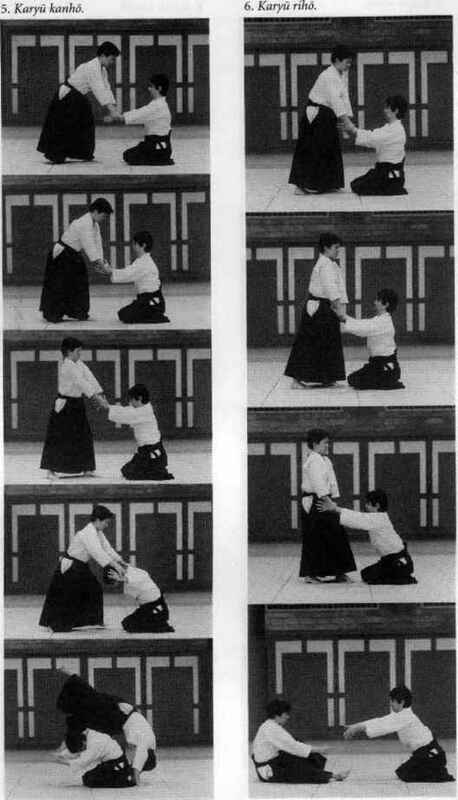 Throws are often achieved in Aikido by forcing an opponent to throw himself if he is to avoid having one of his limbs dislocated. This is why it is particularly important for the beginner to practise carefully. The beginner will learn to avoid locks by throwing himself but this may take some time to acquire.